Disruption. People love to talk about it, but what does it really mean to be disruptive in these times? Next Fest NW 2017: Disruption showcases Northwest innovators in contemporary dance and dance cinema. Don’t miss a weekend of exciting new performances from Michael “Majinn” O’Neal Jr. and Angel “Moonyeka” Alviar, Taryn McGovern, Sarah Hogland, Alicia Mullikin, Sean Rosado, Seth Sexton, and Alisa Popova. 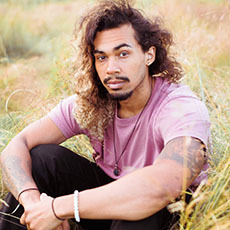 Jordan Macintosh-Hougham is the Next 2017 writer-in-residence. The following Monday, join us for Next Dance Cinema, a single night, double screening of local and inter/national dance films. Next Dance Cinema screens work by artists exploring the potential between dance and film, and offers audiences insight into the cutting-edge possibilities of dance on screen. 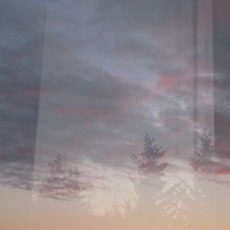 Taryn McGovern is a Seattle transplant whose work has been performed in New York, Denmark, Germany, and Finland. She is currently creating locally and enjoys being an artist in residence at Studio Current. Taryn has been chased by an elephant, and she once received the “Lives Dangerously” award from the Chebeague Island Community Sailing School. Her personal philosophy is to show up, be kind, and pee when you can. Velocity presents Next Dance Cinema in partnership with Northwest Film Forum. Founded by Velocity in 2006, Next Dance Cinema offers dance lovers and film-lovers alike insight into how contemporary dance continues to expand the possibilities of the screen. Next Dance Cinema accepts submissions from NW artists and filmmakers around the globe. Artists are invited to submit innovative works of screen dance that reflect the body in motion or dance-based performance. Next Dance Cinema is part of Next Fest NW, Velocity’s annual new works series celebrating what’s happening in contemporary dance performance and cinema. Selected works will be screened at Northwest Film Forum. ★ The work of Michael O’Neal Jr. (Majinn) and Angel Alviar-Langley (aka “Moonyeka”) work explores femininity, survivorship, mental health, trust, being POC, and being their full selves and what that means to them. 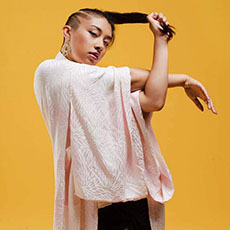 O’Neal is a professional dance artist and teacher trained in both street and classical dance styles; Alviar-Langley is a queer Flipinx femme street-styles dancer who works to realize a more inclusive and intersectional world for the communities she comes from. ★Seth Sexton’s DYBBUK is a ghost-like love story of longing and loss that started as a loose reinterpretation of the original play with the same name by autor S. Ansky. 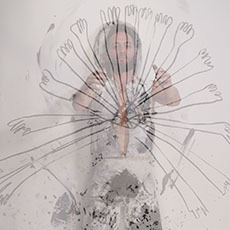 Sexton’s deep interest in the intersection of movement and visual art making transformed the original narrative of DYBBUK into a non-linear mixed-media choreographic painting. ★ Currently an artist in residence at Studio Current, Taryn McGovern has crafted an innovative work that juxtaposes the wild and fickle natural world against the severity of the black box. McGovern aims to incorporate humor and reverence equally. ★ For Alisa Popova’s new work an unnecessary procession, she first created the costumes/creatures with their different character and features, and then explored the movement available to them and moods they might portray. 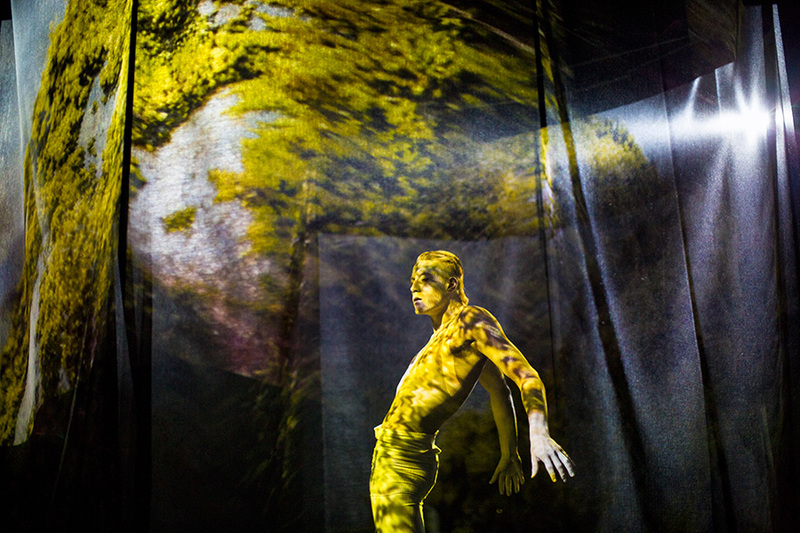 ★ Chicago movement artist Sarah Rae Hogland’s Su Alma : como el agua is a solo work combining element of movement, poetry, and ritual to explore themes of family, disconnect, and the driving desire to belong. Much of the content is inspired by intimate interviews that Hogland has documented with family members, mostly whom were absent during her childhood. 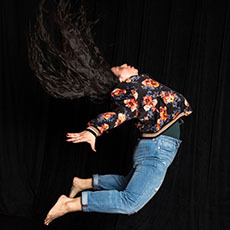 ★ Chicana choreographer, dancer, and teaching artist Alicia Mullikin’s work “exposes dancers of different backgrounds who are underrepresented in the medium” (City Arts). Her pieces usually feature bottom-heavy dance phrases, spacious momentum-driven phrases, and partner work. Next Fest NW is Velocity’s new works series celebrating what’s happening in contemporary dance, movement-based performance and dance cinema in the region. Next Fest NW was established to support new work and investigate different approaches to dance. Through Next Fest NW, Velocity aims to foster a robust community where artists have access to facilities, support and creative exchange. Proposals for installations, performances, live art and other formats welcome. Each Next Fest NW presents four to seven artists or collaborative teams, selected through a curated application process, for three public performances. Next Fest NW artists are fully produced at Velocity; receive an artist fee and up to 20 hours of free studio time; and benefit from artistic, promotional, and technical support. Find out how to support these pieces through the New Dance Initiative. Velocity presents Next Dance Cinema 2017 in partnership with Northwest Film Forum.